She was a compassionate & caring person whose heartfelt love for her family and those around her will always inspire us. Service times: Laid to rest January 11, 2019. 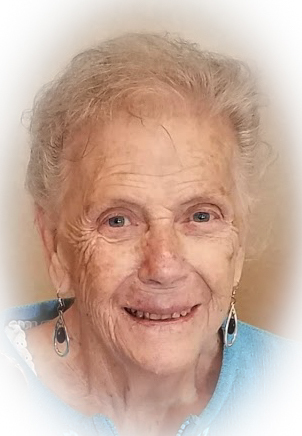 Patricia Ann Dimitris, 81, of Lancaster passed away on January 2, 2019 surrounded by her family. She was born in Lancaster to the late Franklin and Anna Bowers. Patricia’s dedication to her family included twenty years as a military wife beside her late husband, who served in the United States Air Force. She was a compassionate and caring person whose heartfelt love for her family and those around her will always inspire us. We are grateful to have had her in our lives, and she will be deeply missed. Patricia leaves behind her son, Dwayne Dimitris, companion of Debra Myers of Lancaster; her daughter-in-law, Patty Dimitris Dietch, widow of her late son Craig Dimitris, of Lancaster; three grandchildren, Tiffanee, wife of Albert Wright of Mountville, Christina, wife of Steven Schoffstall of Lancaster, Kyle, husband of Heidi Dimitris of Cape Coral, FL; six great grandchildren, Kiara, Kaiya, Tyler, Preston, Cameron, Carter; her brother, Jerry, husband of Cathy Bowers of Lancaster. In addition to her parents, she was preceded in death by her husband of fifty three years, George Dimitris in 2005, her son, Craig Dimitris in 1993, and six siblings.